When finished projects get sold off... their loss, your gain. Even the most hard-hearted car enthusiasts have to respect the dedication that goes into the strangest builds. Not all grand projects can be kept and enjoyed by their creators, though— sometimes, life has other plans for you, maybe it a death in the family, a divorce, mounting bills... all reasons that force you to rid yourself of a project at a loss. Sometimes, their loss can be our gain, and one such project has just surfaced on Bring a Trailer. 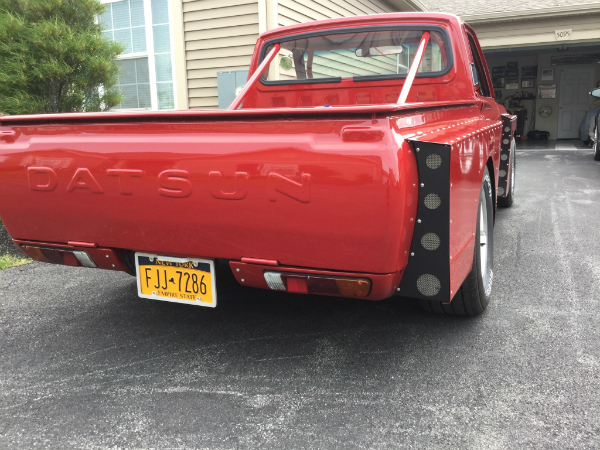 You are looking at a 1979 Datsun 620 with what the ad states has more than $25,000 worth of work done both inside and out. The truck's frame has been mated with that of a 300ZX, held together with a full roll cage, though whether or not the cage would truly be safe in a roll is questionable, as the ad states it was done "for cosmetics." 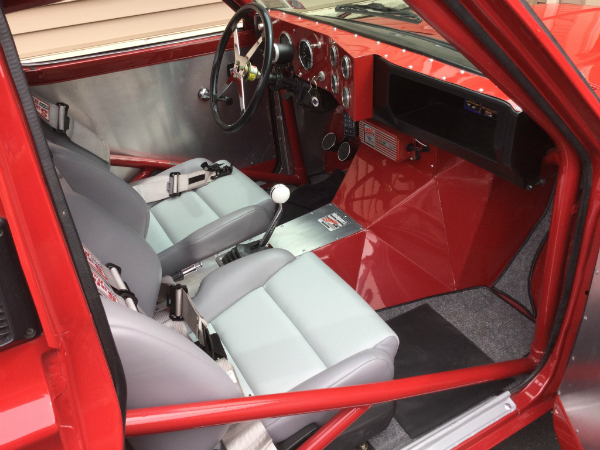 The body has been widened with aluminum flares, and the cab and bed have been modified to account for the different wheelbase of the 300ZX it is built upon. 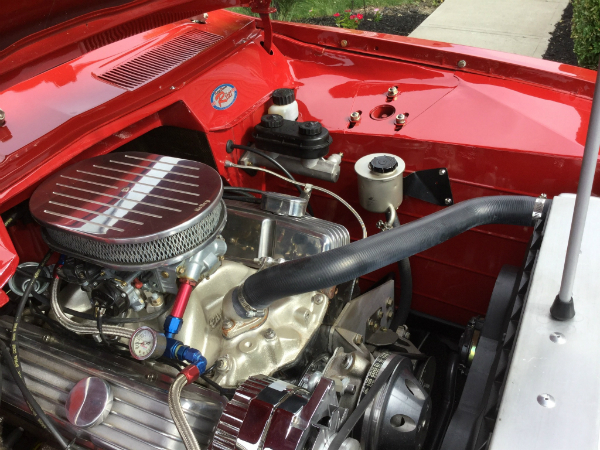 The drivetrain starts with a Holly-carbureted Chevy 305 V-8 with an aftermarket intake manifold and cylinder heads. Aft of that is a Tremec five-speed manual, and what may well be the 300ZX's factory differential, a potential weak link between the engine and the tarmac. 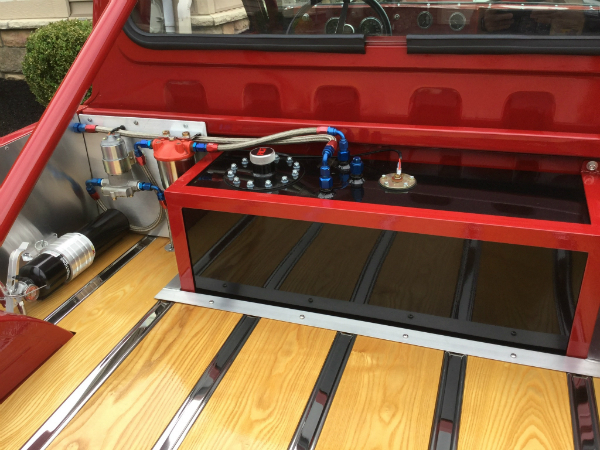 With how much was spent on the rest of the build, it does make one wonder why nothing more stout (Ford 9-inch...) was chosen to withstand the torque from an engine that has at least two liters on whatever factory engine powered the 300ZX this truck is mated to. At the time of this writing, the high bid sits at $3,300 and ends next Wednesday. 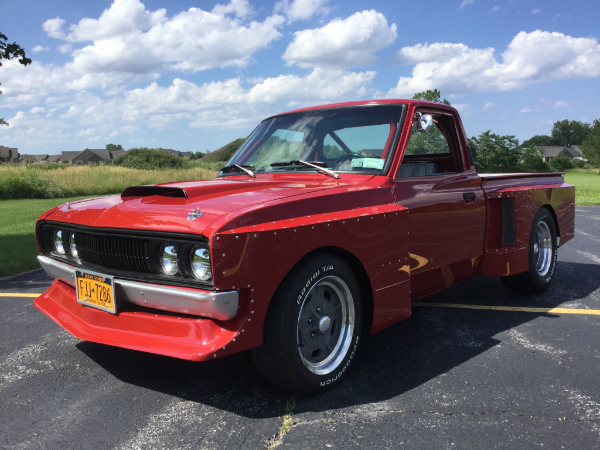 It might be time to beg your wife, dad, or other family members to let you buy this freak show of a truck. Just tell them it has leather seats, and they'll be on board. From rusted beater to an immaculate classic inspired by vintage racing.